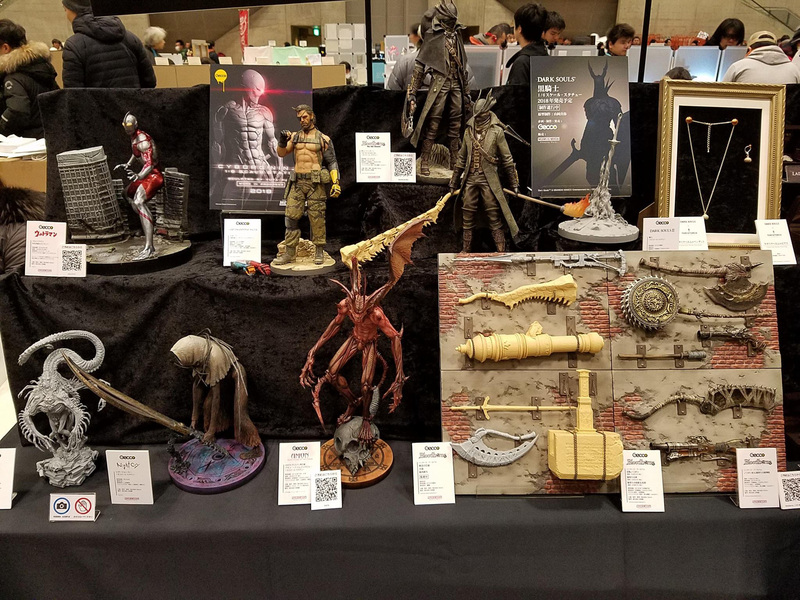 On Sunday February 18th, the bi-annual event Wonder Festival was held again in the Makuhari Messe in Chiba (near Tokyo). 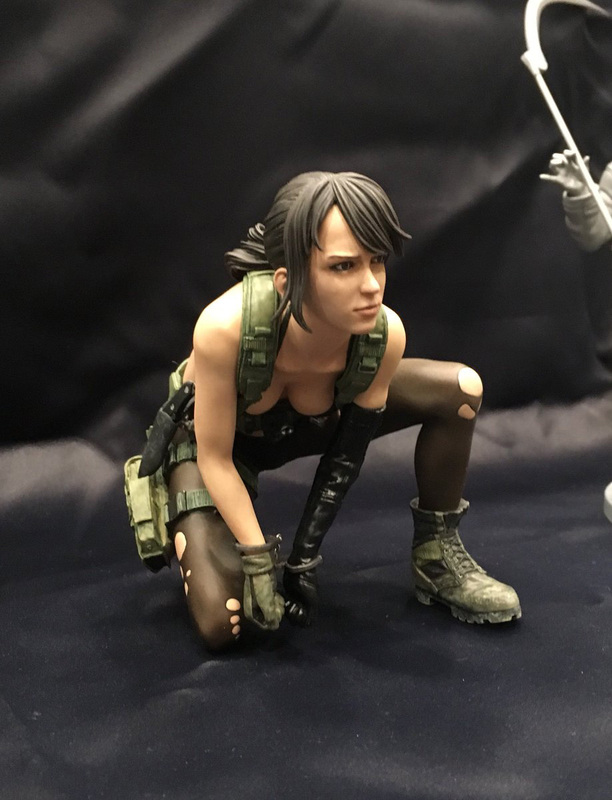 This event is all about figures from games and anime, and both hobbyists and toy manufacturers show off and sell their work. 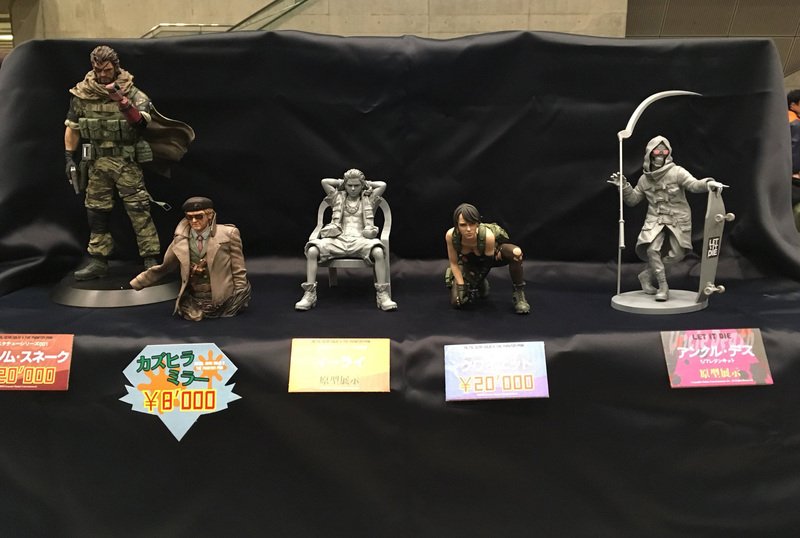 Some Metal Gear figures in various stages of development were on display as well. 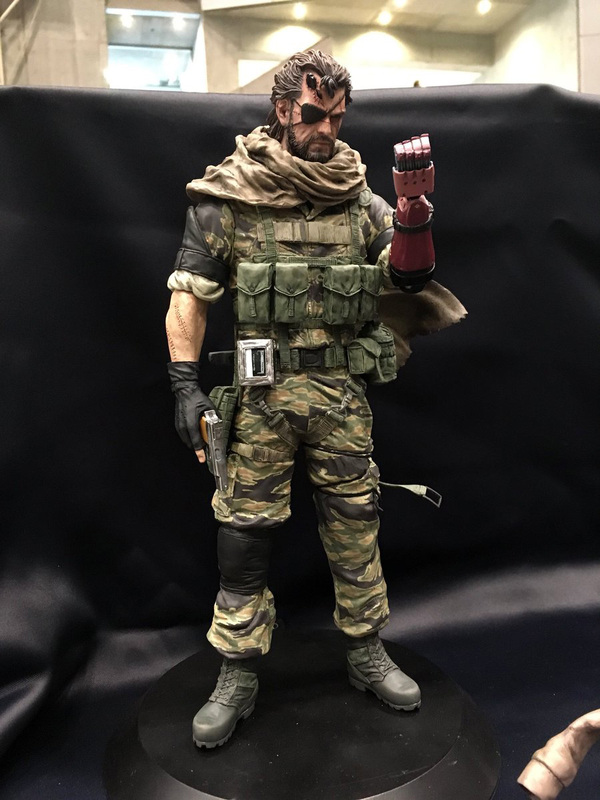 Among the impressive hobbyist sculptures, or ‘garage kits’, were a Venom Snake, Kaz, Eli and Quiet statue. 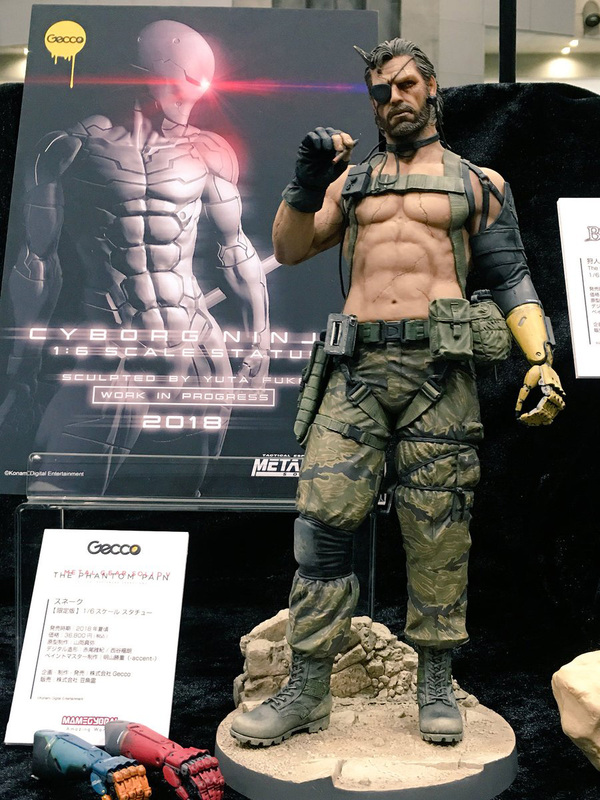 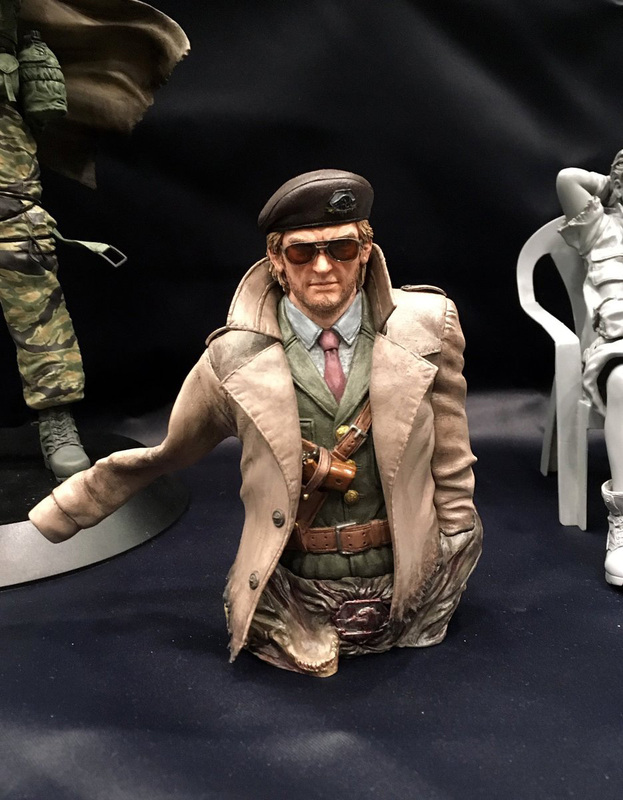 Figure manufacturer Gecco Corp showed off their upcoming Venom Snake statue (coming with two extra bionic arms by the looks of it), and in the back we can see a sign with the Cyborg Ninja figure first unveiled during last year’s San Diego Comic Con. 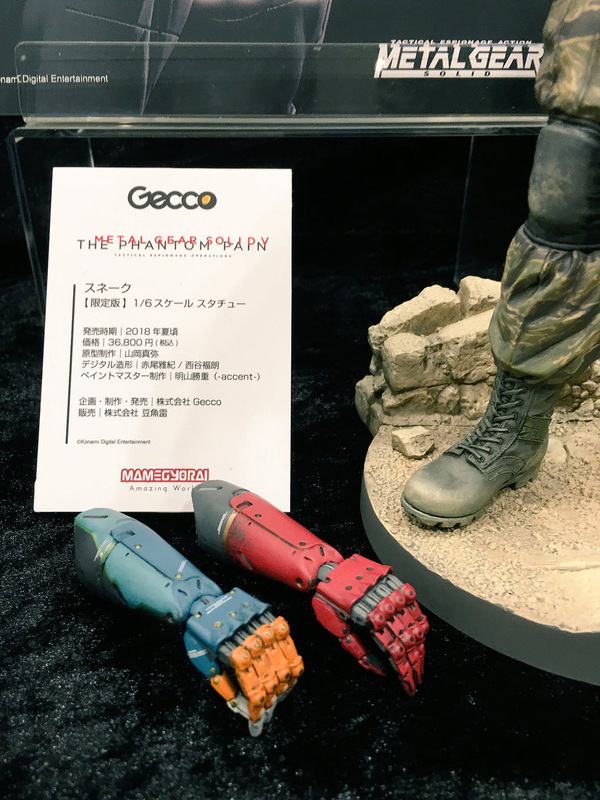 Though still no physical prototype is being revealed, at least we can see the design a little bit more clearly here. 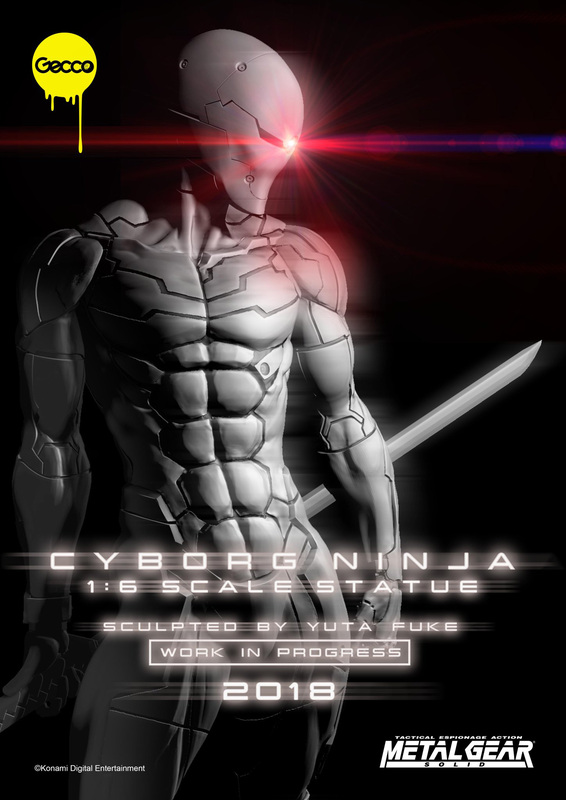 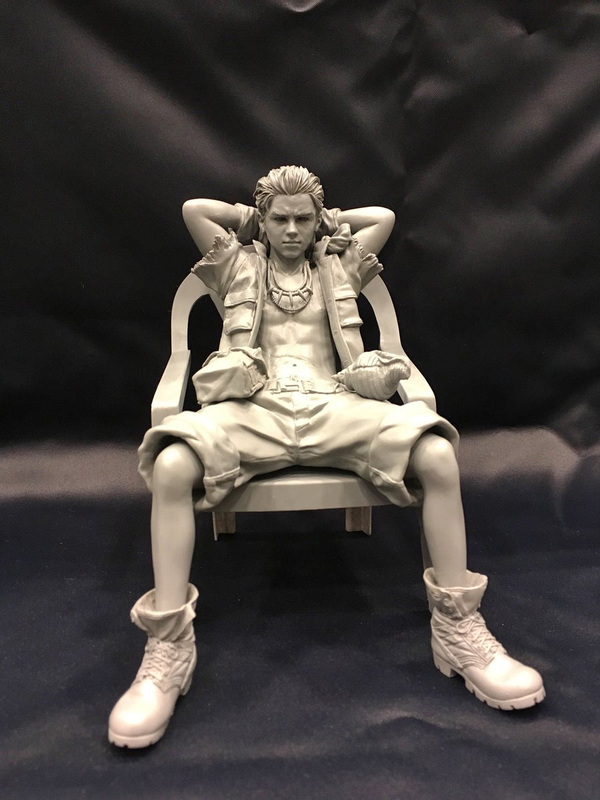 Sculptor Yuta Fuke shared the image that is on display here on Twitter.